This year’s program includes 4 main productions and many smaller performances , workshops and music shows . All meals are included in the package . This year , more than ever we want to share the sense of place and local creativity with you. Expect the unexpected ! Every year , after a Bosman weekend , the mutual feeling is that it cannot be bettered. My feeling, as organiser of the program for the past 21 years is... THIS YEAR IS GOING TO BE GOOD !!! 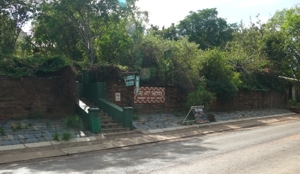 Friday night : From 18h00-21h00 - Traditional Supper - and a Performance by The Redhand Blues Band and a secret guest artist Mampoer / Jerepigo welcoming drink..
Saturday morning :from 9h00-14h00 includes the breakfast , and an introduction the local members of the H C Bosman Literary Society . Three x 1 hour programs at different venues which includes music, dance , story readings, poetry , art exhibition and liquid refreshments between every show. Saturday evening programme from 18h00 – 22h00 includes music ,refreshments, and a performance “Oom Schalk from the Heart with David Muller - and the package includes a traditional supper “7 colours “ prepared on the open fires. Sunday morning coffee and rusks , a performance by local artists and a performance by the Sur Bandits. Lunch included . There will be a wine tasting and wine to buy. 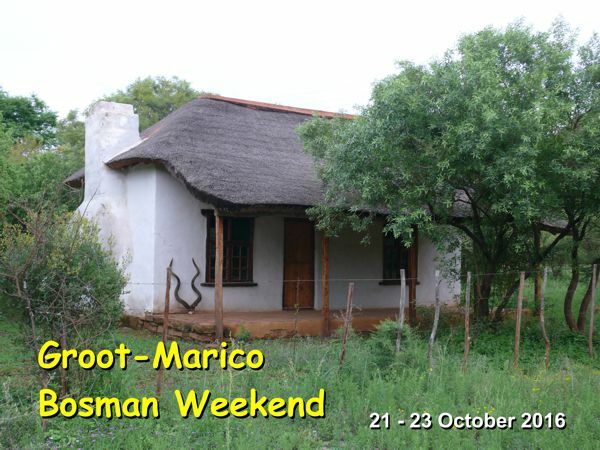 Please take note that this event/booking is organised by the Information Centre in Groot Marico which is situated in an old house in the main street in Groot Marico, next to the First National Bank. Please do not be confused by the new thatched roof Information Centre on the N4 - come right into the heart of town, where true meetings happen.